The concept of sustainability is becoming increasingly important day by day. We have now reached a time where every business must adapt to new sustainable measures. But the big question still remains, why? 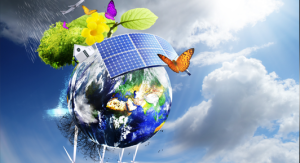 How is sustainability so important for your business? Here are four reasons which describe the importance of sustainability. Builds positive reputation: Sustainable businesses are more likely to attract more clients and investors. A lot of investors nowadays base their investment decisions on ethical criteria such as environmental commitment. Therefore, sustainability can be critical to generating favourable media exposure and establishing a good reputation.